On the eve of the International Cheetah Day marked on December 4, the head of Iran’s Department of Environment (DoE) says efforts are underway to save Asiatic (Iranian) cheetahs through tissue culture, the growth of tissues or cells separate from the organism. Issa Kalantari said the Department of Environment is following up on the issue of breeding cheetahs through Royan Institute. “We are doing our best to revitalise the Asiatic cheetah through tissue culture with the help of the research institute,” he said, adding that the project to save the highly-endangered species is funded by the DoE. 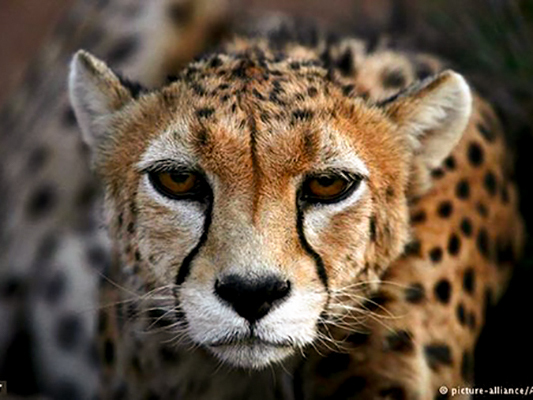 The Asiatic cheetah also known as Iranian or Persian cheetah, the fastest animal in the world, is a critically endangered cheetah subspecies surviving today only in Iran. The Asiatic cheetah survives in protected areas in the eastern-central arid region of Iran, where the human population density is very low. The cheetah is one of the most important cats-like canivorans in the world. Less than 50 of this animal are remaining in wildlife. The only remaining population of the Asiatic cheetahs is scattered in Iran, and if these 50 ones face extinction, a valuable species will be destroyed forever in the whole world. People around the world mark day of cheetahs annually on December 4. These beautiful animals have paced and graced human existence for thousands of years.